The newly appointed Acting Inspector General of Police (IG), Mr. Abubakar Adamu, yesterday officially assumed duties at the Force Headquarters, Abuja, after meeting with President Muhammadu Buhari, promising to uphold high professional standards in the handling of forthcoming general election. However, about 10 senior officers, comprising seven Deputy Inspectors General (DIG) and three Assistant Inspectors General (AIG), will be forcibly retired with the appointment of Adamu as the 20th indigenous IG. The seven DIGs that are on their way out include Mr. Maigari Dikko, who is in charge of the Department of Administration and Finance; Mr. Joshak Habila of the Department of Operations; Mr. Oshodi-Glover Agboola of the Department of Logistics and Supply; and Ms. Peace Ibekwe-Abdallah of the Criminal Investigations and Intelligence Department. Others include Mr. Muhammad Katsina of the Department of Research and Planning, and Mr. Emmanuel Tom Inyang of the Department of Information and Communication Technology. The three AIGs affected have been identified as Mr. Usman Abubakar, who is in charge of Maritime; AIG Usman Yakubu, who is in charge of Zone 10, Sokoto; and AIG Abdulmajid Ali, who is in charge of the Eastern Ports. While Idris’ promotion as the IG on March 19, 2016, was contentious given that 21 senior officers were retired in one fell swoop, Adamu’s will claim only 10. THISDAY gathered that coupled with huge backlash the IG’s continued stay in office caused, the hard questions on Arise TV and THISDAY exclusive interview with President Muhammadu Buhari was the final nail on Idris’ retirement. During the viral interview, THISDAY’s Editorial Board Chairman, Segun Adeniyi, had queried the IG’s continued stay in office, alluding to the fact that Buhari might be scared of firing him. This question it was gathered had ruffled the president’s predisposition to retaining the IG till after the forthcoming February general election. The most affected by the looming retirement is the recently promoted DIGs, who were elevated on October 31, 2018. Particularly worrisome is the fact that with the retirement in the works for Abdallah, who is presently the only female DIG, there will be no female in police top management position. The president had directed Idris to hand over the leadership at the Force Headquarters to Adamu in acting capacity. Adamu, who hails from Lafia in Nasarawa State, according to Moshood, is a thorough breed and versatile police officer. According to Moshood, “The Acting Inspector General of Police, Mohammed Abubakar Adamu, hails from Lafia, Nasarawa State and a holder of B.Sc. Geography. He enlisted into the Force on 1st February, 1986 as Cadet Assistant Superintendent of Police. Moshood said before his appointment, Adamu was a Directing Staff at the National Institute for Policy and Strategic Studies (NIPSS), Kuru, Jos, Plateau State. He was also Commissioner of Police in Ekiti and Enugu States and also Assistant Inspector General of Police in charge of Zone 5 Police Command Headquarters, Benin, Edo State. Earlier on, Adamu who was decorated with the new rank of IG by Buhari in the State House, was led to the president by the outgoing IG Idris, at 1.30p.m. After a meeting, which lasted for about 30 minutes, behind closed-doors, Adamu fielded questions from journalists on his disposition towards the forthcoming elections and other matters. One of the factors, which pitted the public against Idris, was alleged partisanship. But Adamu described himself as a professional, who would be guided by ethics of the profession in the discharge of his responsibility. “Well, we are professionals. We are going to stick by the rules. We are going to do the right thing. We will not go outside the ethics of our job to do things that are untoward. Everybody will be given level playing ground to play his or her politics,” he said. He also said enough arrangements had been made to ensure that credible elections are conducted in February and March this year. “On the elections, you have heard from the former IG. Adequate arrangement has been made to make sure that free and fair and credible elections take place in Nigeria. We are going to build up on the strategies put in place to make sure that we have hitch-free elections in the country,” he said. Adamu, who thanked Buhari for considering him for the office, said new strategies would be evolved to tackle security challenges confronting the country. He said, “I want to thank Mr. President for considering me worthy to be the next IG. We know that there are security challenges that we need to tackle in the country – issues of kidnapping, abduction and other security challenges. Also fielding questions, the controversial outgone IG said he was leaving service, having attained the mandatory retirement age of 60, wishing his successor well. He also advised his successor to carry on with the task of protecting the lives and property of Nigerians. 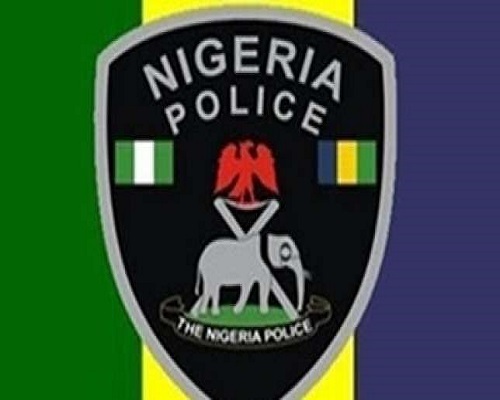 Disclosing that more police officers would be recruited this year, Idris promised that police handling of their roles at these forthcoming polls would be the best. “I want to inform Nigerians that today, I am 60 years and I think I have reached the pinnacle of my career. So, I am going to handover to my successor, the incoming IG. He is an officer I know very well. We knew each other in the past, we have worked together and I wish him success. “The advice I will give is that just like in our time, he should try to go round the country and adopt measures to ensure that the Nigerian Police Force give maximum protection to lives and property.